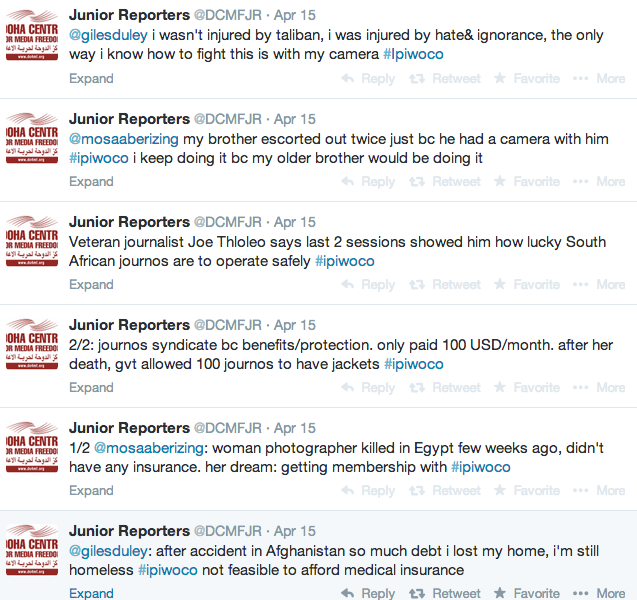 IPI World Congress ’14 | DCMF JUNIOR REPORTERS: WELCOME TO OUR BLOG! Junior Reporters of the Doha centre for Media Freedom gained the opportunity in the first European Media & Information Literacy Forum, held in UNESCO, Paris, to listen to the MIL experts on the DCMF’s Junior Reporters’ initiative, and whether it should be applied in other countries, through other organisation or not. Here is our exclusive vox-pops! This is it, IPI World Congress is coming to an end! 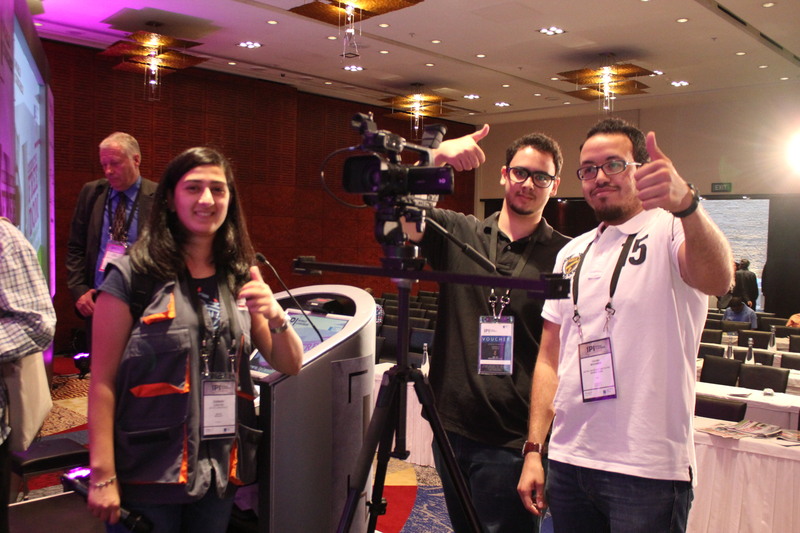 We, Zena, Ramy and Osama hope you have enjoyed our coverage of the Congress, enjoyed participating in our interviews and learned a lot from the discussions that took place during those four intensive days! See you next year in Burma and thank you again for your active collaboration! Don’t forget to continue following our blog to see our friends’ coverage of upcoming events in Paris, for UNESCO’s international celebration of World Press Freedom Day and in Amman, for the Forum for Freedom Defenders organised by the Committee to Defend Journalists. Here is a glimpse of the photos we took during the dinner on the second day of IPI World Congress in Cape Town. The venue was absolutely beautiful and we hope you will find a picture of yourself in the gallery below to take back some happy memories from South Africa and the press freedom community with you back home! Being a photojournalist today: what is it like? 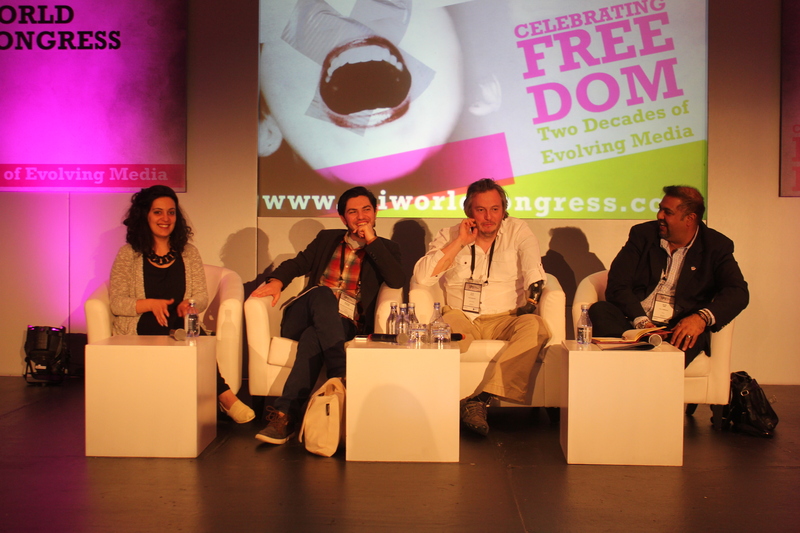 The last session of IPI World Congress 2014 was about photojournalists, a group of media workers we often tend to omit when discussing press freedom, safety and media access. founder of the Mohamed Amin Foundation and Chairman of A24Media. The session was joined by 3 high-profile journalists from all over the globe including Tamara Abdul Hadi (Iraq/Canada), Mosa’ab Elshamy (Egypt) and Giles Duley (UK). Egyptian photographers are paying the ultimate price. He explained how he was walking with his camera on his shoulders, when a policeman stopped him to ask what is this you are holding? He answered a camera. He was taken to the station under charges of possession. Giles Duley, a British freelancer photoreporter and landmine victim, started with saying that no story is worth losing your limbs but it’s the principle to do it. Giles knows what the high price of photojournalism is the day he walked on a landmine while working in Afghanistan. He lost an arm and leg. Without any insurance, he came back home with high medical fees to pay and ended up being homeless with numerous debts. All three photojournalists believe citizen journalism is essential. Mosa’ab explains how Egypt is the perfect case. There were many areas where journalists couldn’t reach. Citizens took the photos and spread the news. 32 journalists have been killed this year. In addition 11 photo reporters were killed in Egypt 9 were under the age of 25. Duley believes that every journalist/photojournalist need have medical training before they leave, not for themselves but for the person next to them. A journalist needs to have insurance. Duley had his medical expenses taken care off but he is still homeless. The quote above is from late South African President and Nobel Peace Prize winner Nelson Mandela. 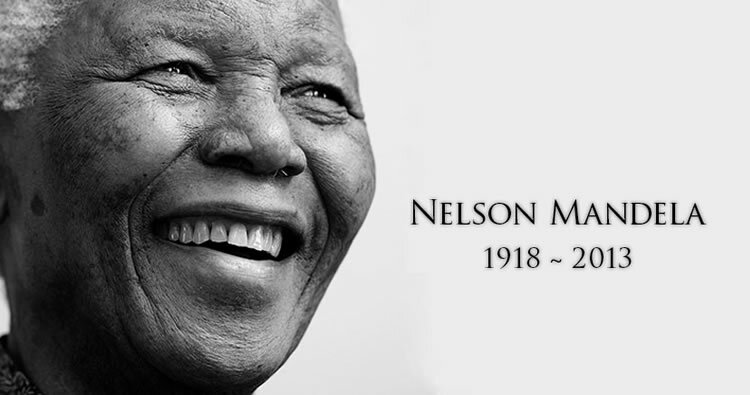 After spending 27 years of his life behind jail, Mandela led South Africa from apartheid to democracy and, through his peaceful advocacy for peace, democracy and human rights, he remains an inspirational figure for all media workers and press freedom fighters. In 1994, he delivered a key note address during IPI World Congress in South Africa. 20 years later, let us look back at his reflection on the importance of a free press and the role of journalists not only in South African society but worldwide. “Mr. Chairperson, Your Excellency, State President de Klerk, Distinguished Publishers and Editors, Ladies and Gentlemen. In welcoming you to the shores of our country I wish also to express our collective thanks, as South Africans, for the support our struggle for democracy has received from the international media. During the darkest days of apartheid and political repression, when thousands of South African patriots faced imprisonment, bannings, house arrest, detention without trial,torture and even death, it was the international media, not least its oldest component, the press, that laid bare the atrocious conditions in our country and kept the international community alive to the issue of apartheid. Martin Schibbye, a Swedish journalist, was jailed in Ethiopia for 438 days for talking to a group labeled as terrorists in Ethiopia. He was hailed for doing his job. In this interview, Schibbye explains about his experience and his message to every foreign or local journalist operating in hostile environments.